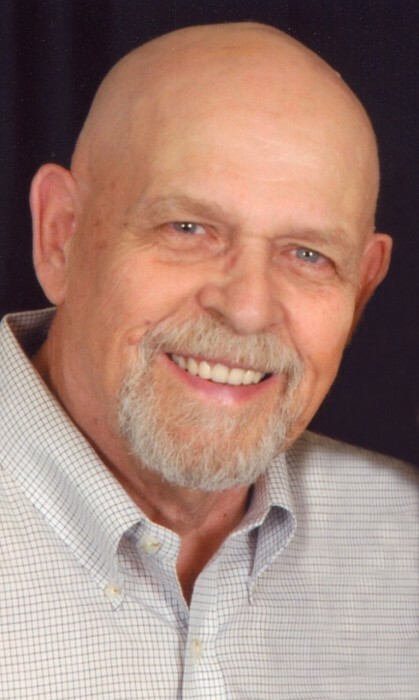 David Roy Schoenbacher, 79 of Waverly IL and Rio Verde AZ passed away peacefully surrounded by his family and close friends January 22, 2019 10:35 am. Dave was born April 3, 1939 in Chicago, Illinois he was the only child of Charles Schoenbacher Jr and Carolyn Laub Schoenbacher. He graduated from Western Military Academy in Alton IL in 1957 where he played football. He then attended University of Michigan in Ann Arbor MI where he played football. In 1959 he transferred to Western Illinois University in Macomb IL and graduated with a bachelor’s degree in education. It was at Western Illinois University he met the love of his life Bonnie Gail (Bivin) Schoenbacher. They were married on September 24th, 1960 in Waverly IL. After they were married Dave was employed as Sales manager for the Mobil Oil Corporation. After 10 years in the corporate world Dave resigned from Mobil Oil and moved the family to Modesto IL to pursue a new adventure in farming. Dave took the farming business by storm and ran it like a business. He owned one of the first computers to ever be sold to the consumer and created farming spreadsheets and plans. In 1978 he won the Chevron No-Till production award for producing the most bushels of corn per acre (325 Bushels). He was President of the Limousine Cattle association and loved to watch his children show Limousine cattle at the county and state fairs. Dave enjoyed hunting, fishing. He took trips to Australia, Wyoming, Montana, Colorado often to hunt or travel with close friends and family in addition he took trips to Canada, Florida and Hawaii to fish. In 2010 Bonnie and Dave traveled to Alaska and experienced the beautiful scenery and culture. He loved to snowmobile, snow ski, water ski and go camping with his family. Dave and Bonnie spent 6 months in Europe working for Employee Benefits Services. They got to travel to places like Miami, Las Vegas, Minneapolis, Cleveland, Chicago, and Rhode Island while contractors for Employee Benefit Services. In 1985 Dave decided to cash rent the farm land and concentrate on the business side of the farm as well as invest in distressed properties and land. He developed Roher Station Estates subdivision located 8 miles south of Waverly. He was also co-Founder of Apple Creek water Co-op. He was co-owner of Apffel Bach Giant Schnauzers and he adored his two Giants Audi and Cash. In Illinois they would ride on the country roads with Cash and Audi sitting in the seat of the Kawasaki mule, in Arizona they loved to ride beside him in the golf cart. Dave was a very creative person, he loved photography, art, pottery and recently he had taken classes in Arizona to learn to make beautiful masks out of gourds. Dave and Bonnie were blessed with two children, Rae Anne in 1961 and Jeff in 1964. Dave loved his children and took the role of father very seriously. He taught them about work ethic, respect, manners, and the value of the almighty dollar. His children remember him as a strong, no nonsense man. He often told them “people may not like you but they will respect you”. He would also would tell them “nobody is going to do it for you, you have to pick up your boot straps and do it yourself”. Dave absolutely loved his children unconditionally and always treated them equally. Dave adored his granddaughter Patrisha Schoenbacher. He would travel all over the US to watch her gymnastic meet. He would attend the New Mexico state fair every year to watch Patrisha show her mule Gwen. He was a very proud to be a grandpa, Patrisha loved him and was very proud to be his granddaughter. Dave and Bonnie have been married for 58 years and the love they had for each other was unbreakable. Their personalities were polar opposite, Dave being a city boy from Chicago IL, Bonnie being a country girl from Waverly IL. They worked as a team and the motto for their marriage was “never go to bed mad”. Dave had close friends from all over the globe. Some friendships have lasted 60+ years. Nearing the end, he was able to say his goodbyes to many close friends and express his love for them. Dave is survived by his wife of 58 years, Bonnie Schoenbacher, daughter Rae Anne Schoenbacher of Morrisonville, IL, son Jeffery Todd Schoenbacher of Taos NM and granddaughter Patrisha Christine Schoenbacher of Taos NM. A niece Taren Lynn (Carney) Stob and Wesley Gail Carney. He was preceded in death by his parents Charles and Carolyn Schoenbacher, his aunt and uncle, Eddie and Adele (Schoenbacher) Krizman, mother in law and father in law Ralph and Bernita (Workman) Bivin. All his favorite pet companions, Red, Suzy, Josh, Hereboy, Sandy, Elke, Franny, Axle, Chazz, and Eve. A celebration of life in Illinois and Arizona will be held at a later date.